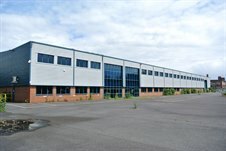 Cattaneo Commercial have just concluded the sale of Imperial House, Pool Road, West Molesey, a modern 59,000 sq ft warehouse unit to an owner occupier. The unit will be used by a well established local fragrance house for mainly storage and distribution of scented candles and reed diffusers. We have a number of applicants seeking similar space so if you are considering letting or selling your industrial / warehouse building please contact Andrew Armiger on 020 8546 2166.